The India-Singapore Strategic Partnership was signed last November between two nations. But Prime Minister Narendra Modi’s strategy of co-operative federalism means that one of the vehicles of this strategic partnership is states; today Rajasthan and Singapore inaugurate a partnership that will bring world class skill development in tourism and hospitality to the youth of Rajasthan with the launch of the Centre for Excellence in Tourism Training (CETT) at Udaipur. This partnership for tourism builds on the launch of a direct flight from Singapore to Jaipur earlier this week. During this visit of the Hon’ble Prime Minister of Singapore to launch CETT, Rajasthan will also extend our partnership by kicking off projects to improve the tourism ecosystem in Jaipur and Smart Urban Development. Singapore now has the highest per capita income of any country in the World. This was not always so; it was colonized by the British, suffered brutally under Japanese occupation in World War 2, and was forced to separate from Malaysia in the 1960s. But under the leadership of late Prime Minister Lee Kuan Yew – described recently by Prime Minister Modi as one the greatest administrators and reformers of our times – Singapore has become a beacon of what is possible with hard work and strategic thinking in Tourism, Education, Ports, Finance, Urban Productivity, House ownership, Job creation and much else. Singapore has been consistently ranked first in the World Bank Ease-of-doing Business global rankings and is considered as the best investment destination in Asia. Singapore is a job magnet and its purposeful and innovative pursuit of job creation by their Economic Development Board (EDB) has been magnificently chronicled in the book Heart Work by Chin Bock Chan. I hope someday to model our own Industries department on the effectiveness of EDB because job creation changes lives in ways that no subsidy ever can. 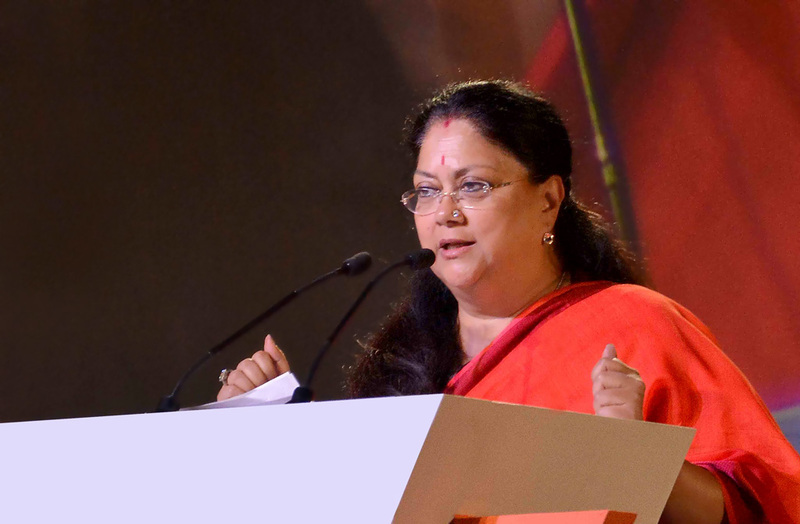 Tourism is an important engine for job creation in Rajasthan – creation of human capital is key to raising our game. CETT is being set up at the former campus of IIM Udaipur and 40 of our faculty will soon be leaving for Singapore to be trained. The design, curriculum, and pedagogy for CETT have been drawn up by the world class Institute of Technical Education, the vocational training arm of the Government of Singapore. CETT aims to produce Chefs, Front Office Staff, etc. and the first batch will be graduating next year. In parallel, the direct flight from Singapore to Jaipur has important implications for tourism in Rajasthan because Changi airport is the supreme air hub for South East Asia – it handles over 55 million passengers every year – and is a perfect gateway for the 1.7 billion people who live within a five hour flying time to fly directly to Rajasthan. A research paper called The Economic Impact of Non-Stop International Flights by University of Arizona suggested huge primary and secondary impacts on jobs, salaries, and economic activity of such direct flights. Our recent global tourism campaign has raised tourism arrivals by 20% but we are operating far below our potential. We have much to learn from Singapore; they received 15 million foreign tourists last year while we only got 1.5 million foreigners. Singapore may be small but as Voltaire said before the French revolution “God is not on the side of the biggest armies but the best shots”. Over the last few decades Singapore has not only been Asia’s most successful nation at poverty reduction but it was early in recognizing the huge positive effects of tourism on gender issues, employment, wages, preservation of culture, urban development, and much else. Singapore has demonstrated that you don’t have to be Western to be Modern and how a poor country can become a rich one in one generation. It has taken the long view by recognizing that we don’t live in an economy but a society; this resonates with us because the three pillars of the Rajasthan model of development are job creation, social justice and effective governance. India’s partnership with Singapore is hardly new; since the Chola period our country has not viewed immigration to this tiny nation as brain drain but brain circulation. And some of my earlier childhood inspirations came from the women in uniform of the Indian National Army based in Singapore. In his wonderful book The Singapore Story, late Prime Minister Lee Kuan Yew, said “The task of the leaders must be to provide or create for them a strong framework within which they can learn, work hard, be productive and be rewarded accordingly. And this is not easy to achieve.” A rapidly changing world is a world that will be inherited by learners; Rajasthan is delighted to partner with and learn from Singapore.